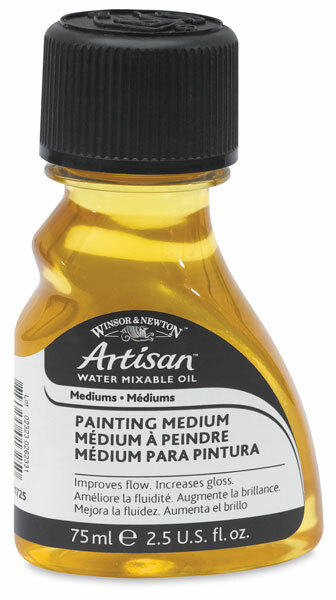 Achieve all the techniques and styles of traditonal oil colors while using Winsor & Newton's Artisan Water-Mixable Oil Colors. 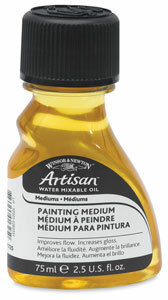 This medium thins the consistency of Artisan Water Mixable Oils, improves the flow and wetting of colors, and also aids in fine detail work. It dries slowly to a flexible film and is good for "oiling out" (applying an oil medium to a painting that has sunk, or lost its oil, to the layer underneath).